Conveniently located near Grand Blanc, MI, Audi Ann Arbor is your nearest Audi dealer featuring a comprehensive selection of new and certified pre-owned Audi SUVs, sedans, coupes, and performance models. Complementing our extensive lineup of the latest Audi models, our state-of-the-art service facility is equipped to handle all of your automotive needs -- from routine maintenance to major repairs and advanced diagnostics. At Audi Ann Arbor, we share the same passion for Audi vehicles as you do. Our entire staff is here to provide you with the world-class luxury experience that both you and your vehicle deserve. Finding the Audi you've always dreamed of is both simple and straightforward when you shop at Audi Ann Arbor. No matter if you're searching for a new or pre-owned Audi, you can count on our Audi sales professionals to provide you with personalized attention. From beginning to end, our team will carefully consider your personal preferences, budget requirements, and driving style when helping you select the right vehicle. We're here to help get you behind the wheel of the Audi you've always wanted. Whether the odometer on your Audi reads 10,000 or 100,000 miles -- our service center at Audi Ann Arbor is here to help you continue to experience the same driving performance that you've grown accustomed to. You can trust our factory-certified Audi technicians to provide your vehicle with the care and attention it deserves using the most current equipment and diagnostic tools. You'll be able to drive with total peace of mind from the knowledge that your vehicle will receive Genuine Audi parts engineered specifically to meet the original specifications of your vehicle. For drivers located in Grand Blanc, MI, there's only a short drive to Audi Ann Arbor. 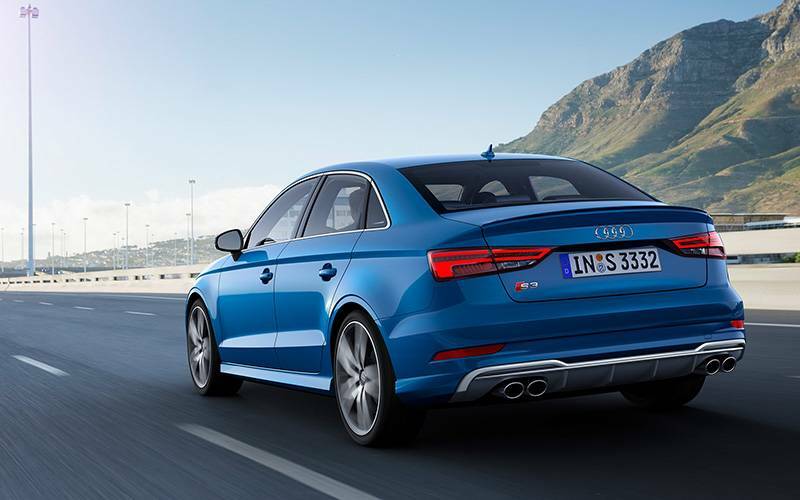 Only 60 miles stand between you and the superior service, expertise, and friendly Audi experts at Audi Ann Arbor. We look forward to serving you! Reach out to us online, view our available reviews, or better still, stop by and visit our showroom in person located at 2575 S State Street in Ann Arbor. We are proud to serve serve drivers in Canton, Brighton, Grand Blanc, and the surrounding communities.